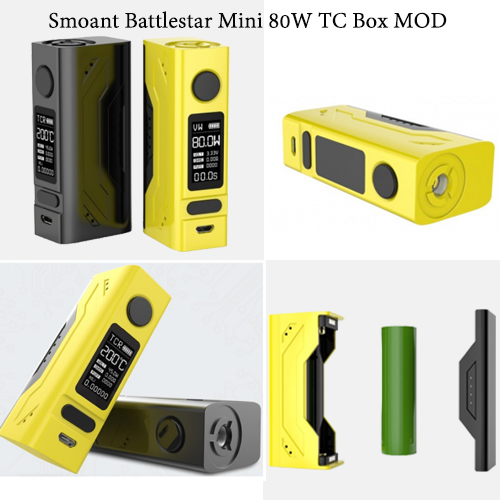 As a mini version of Smoant Battlestar, Battlestar Mini MOD is a more smaller and portable TC MOD with ergonomic design. Powered by single 18650 battery, it supports 80W Max. output power and offers powerful VW/ Bypass/ TC(Ni,Ti,SS)/ TCR modes which will keep even the most advanced vapers satisfied.